Pour brown sugar, paprika, oregano, garlic powder, and salt & pepper into a plastic bag. Add chicken breasts and seal. Shake to coat chicken. 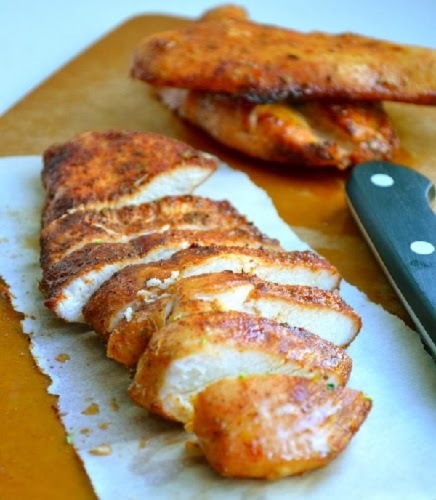 Arrange chicken breasts on a lined baking sheet. Bake for 20-23 minutes.